DH and I stayed at POP from Dec 8th to 19th 2007. We purchased our standard room through AAA for $65.60 a night. I faxed over our room requests three days before our check in date. We got every requested that we asked. We loved staying at POP and we'll stay there again! I love POP, its affordable, has its own bus system, rooms are cute and clean. On the downside, no fridge or coffeemaker. We have stayed there 2 times in the last year. We love the rooms, they are just right for the 4 of us. We love the pools, etc. They are great!! The food is good and the offerings are great. We will stay there again and again! My Countdown Counting down to: Celebrating at our favorite place on earth! My Previous Trips WDW- Dec. 2007,Mar. 2007, May 2005, Oct. 2004, Sept 1996 (Honeymoon), numerous times before from 1979 to 1996. We really enjoy POP. I like the one bus stop versus the multiples at the other value resorts. I also like the sprinkle place for the toddlers as well as the wading pool and the walk by the lake is relaxing. I have always found mousekeeeping to be terrific and cm's always accomadating. We will stay there again this May for a grand gathering of 10 of our family members. We had a magical Time. We have stayed at POP 3 times. I like the huge icons and catch phrases on the buildings, even though most are lost on my DD 11. I like the food court. We will grab a snack/dinner after a dip in the pool and eat it in the room if we are tired. The one problem I have is suitcase storage. We can fit everything in the drawers, but the suitcases are always in the way. But we basically shower and sleep there, so no complaints about that. P.S. I travel just me and DD and feel safe at this resort, too. This is important to me. Its so much fun at the Pop...its always like a big old party. We've stayed at Pop Century 3 times now, with a 4th time coming up in June. We've been in the 50's 3rd floor and could see the fireworks; we've been on the main floor 50's close to the Classic Hall; and we've been in the 80's close to Classic Hall and the bus stops. So far, we haven't had a bad location. We've enjoyed the food court (in fact, Benji prefers it at times); it's a good value and most of the time pretty tasty (or maybe we just aren't really picky). I love the store, but then what store don't I love? I do like the location as well, even though some may not. I like where Pop Century sits on property; I can get from PC to DHS in about 8 minutes without even speeding. 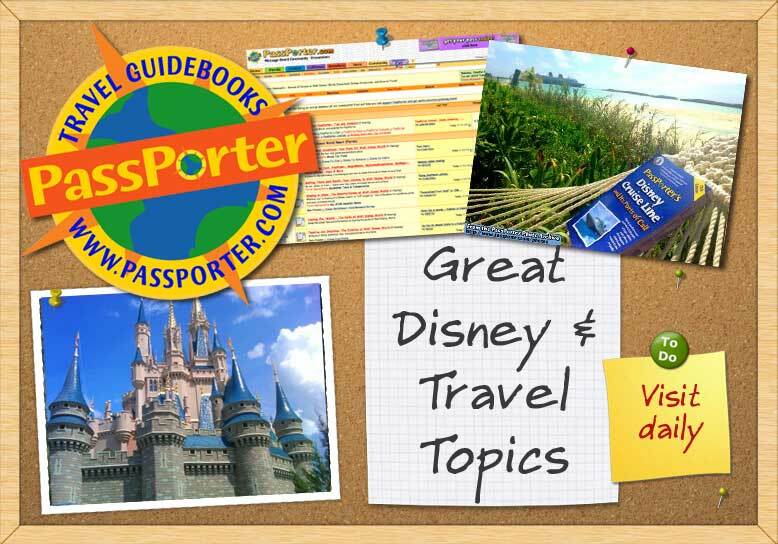 It's an easy drive to Magic Kingdom and Epcot, as well as Animal Kingdom. We haven't had much luck with the buses though which is why we usually drive. We've also stayed at Hotel Royal Plaza and Port Orleans - Riverside and I prefer Pop Century over anything else which is why we keep returning. We like POP; it was definitely a fun part of our vacation. The kids had a choice of 3 days at a deluxe, 5 at a moderate or 7 at a value, and they chose 7 at a value. We went to WDW to experience the parks, not to sit in our room. There wasn't much room in the room to do anything but sleep, ,and I would have preferred a queen size bed, but we knew we were getting a double, so we couldn't complain. I was pleasantly surprised by the pools, arcade and counter service. The place was very clean and had adequate parking. The main pool was crowded but the side pools were pleasant. That is my favorite hotel Pop century! I love it! the shops and dining are cool and awesome as well! The theme is the decades. I hope our family would like to stay in the 80's because the Epcot Opening Day! I stayed at Pop Century for 1 night on May 3. The staff was very friendly. I walked right up to the desk and my request for a first floor room overlooking the lake had been met. I was in the 70s and it was a short walk to my room. The room was very similar to the room I had at ASMu a few years ago. For a single traveler there was more that enough room. I was greeted by a very cute towel puppy in the window. I was very impressed with the details in the theming at Pop. I spent some time both Saturday evening and Sunday morning wandering around the reosrt. The bowling pin pool deck had a design to make it look like a bowling alley. The concrete had impressions that looked like boards on the lanes and even had the triangle makers you see on the lanes. Very cool. I really enjoyed all of the icons. I think the Mickey Phone and the lit bowling pins at night were my favorites - although Lady and the Tramp pulled at my heartstrings. I had a snack and breakfast at the food court. There were lots of people there both times, but the lines moved quickly. I thought the variety of food was very good. I am a DVC owner so I won't be staying at resorts often, but if I ever need another 1 night stay I'll certainly consider Pop again. We love this hotel. This will be our second time staying at the POP. The theme is great and the kids love it. The rooms are a little small and it is light on the amenities. If you spend alot of time in your room or hotel this place is not for you. If you want a nice magical place to come home to each night to rest your head that is inexpensive then this is your place. Last edited by Docrwm; 06-27-2008 at 01:17 PM..
We have always stayed at Deluxe resorts, but since we now have 3 kids, we need more space and Pop Century fills the bill nicely. While Mom and Dad may prefer the ambiance at one of the Deluxe resorts, kids go nuts over the fun, colorful, over the top atmosphere at Pop Century! Now that our kids are old enough to enjoy the parks more "commando" style, all we really need is a clean place to "hang our hats". Our oldest son was "Pop Star of the Day" on a "Dad & Me" trip I sent them on after our twins were born, and since then Pop Century is his resort of choice hands down! Why can't I just LIVE at Disney World? Last edited by zagafi; 07-24-2008 at 05:14 PM..
My Countdown Counting down to: Surprise Birthday Trip for my girl! We are in our happy place! We stayed here in June 2008. We all really enjoyed it! The buses were efficient and the staff was very friendly. The food court had lots of selections and was very yummy. The pools were nice as well. My kids really enjoyed the arcade. I have nothing negative to say, it was a great, affordable place to stay during our Disney Vacation! Send a private message to B.M. Find More Posts by B.M.